Runners up out of the 4 teams present was a good return. This demonstrates another positive result for the group working at the county water polo development programme at Uxbridge and the RTC group at Ealing. Well done to the U14 team for coming second against some good opponents. The first game against Sussex was a good start as we won 8-4 and was a good chance for the team to get to settled. The goals came from Samuel Roberts (4), Toby Roberts (2), and Gor Nazaryan (1). The next game was against Surrey. We lost in the last second of the game 3-2 Ion Balezos made same good saves to keep us in it. Our goals came from Samuel Roberts and Stefanos Statlnis. The last game against Kent was a must win game, as it was Kent or Middlesex for second spot. Ion Balezos play well in goal making some good saves. At half time it was 2-1 to Middlesex goals from Gor Nazaryan (2): after the break Kent came out fast and scored to make it 2-2. With a minute left a good swim from Stefanos Statlnis received the ball and shot top left corner. 3-2 the team played a keep ball game to see out the game for a win. They are a credit to their clubs and coaches. This tournament was a step in the development of the Middlesex Youth team, taking them to an overseas tournament for the second time. It was the turn of the under 16s as the older cohort had travelled to Serbia last year. It allowed the players to step up from domestic water polo to the more demanding and challenging European water polo, playing against teams from Belgium, Holland, Germany and France. The main objective therefore was experience. This year the team finished 1st, our best position for this age group in international competition. A broad advertisement was sent and trial opportunities offered at Uxbridge. Martin Waller, Chris Dean, Stephen Baker. Travel was by a 15 seat mini bus via the Dover Calais ferry and driving the rest of the way to St Niklaas, a small town near Antwerp, Belgium. An ASA permit was received prior to travelling. In order to constrain costs, accommodation was in tents and sleeping bags. There was a barbecue party on the Saturday evening with live music and a very sociable feel with all participants. Each full attending player paid £50 per head. All players and staff were given a Middlesex polo shirt. The shirt was worn for the entire weekend and team photo taken and submitted to Middlesex. This was a very harmonious, enjoyable yet challenging tournament. All the objectives were met with the players getting an enhanced experience and the opportunity to improve. The team were very well behaved and represented the county well. Costs were extremely good value with a cost of just over £100 per player and official and £60 each from the County. This event is well worthwhile as an annual event and indeed the idea of taking the team overseas for enhanced and higher level competition is strongly recommended. The only negative from my point of view is the relative lack of engagement from other County clubs who are given the opportunity but seem unwilling to travel outside their own sphere of play. Competition came from playing against teams from Belgium, Holland, Germany and France; but Middlesex came out as the Winners. This is particularly pleasing as it is the 1st time this group of players has represented the County abroad. Charlie Briers was the team’s leading goalscorer. Congratulations also go to Charlie for his selection for GB Honours. He has been nominated for the Ron Turner Award for this year. Our congratulations go to the team (who were on their best behaviour) and to the staff team for all their work over many months. The only regret is that only 2 of the County teams put forward players to compete for team positions. Come on Ealing; come on Otter. The season is split into 2 phases—in the 1st phase teams compete in the Divisions, then, in the 2nd phase they break into Super 5’s (the highest tier), Championship 1 (effectively play-offs between lowest 3 teams in the higher Division and the top 5 team in the Division below). 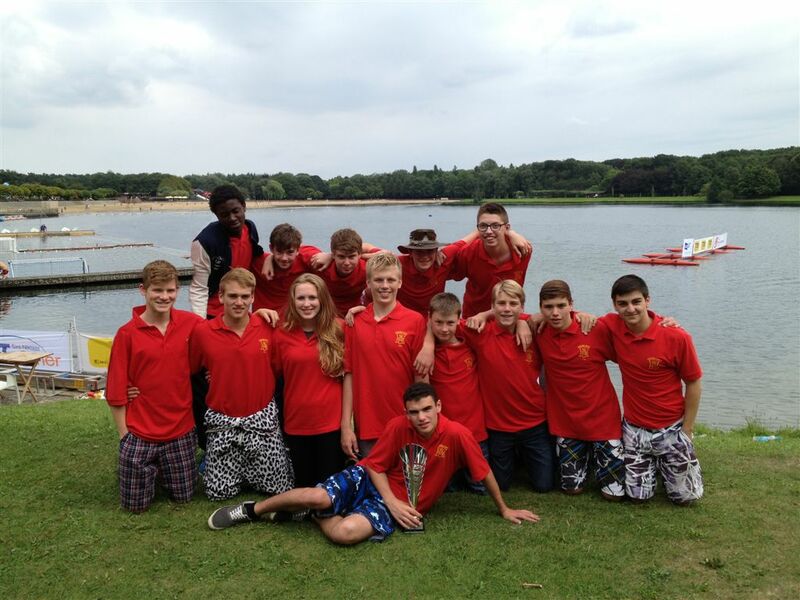 In Division 1 POLYTECHNIC were 7TH, and WEST LONDON PENGUIN 8TH . In Division 4 OTTER were 3rd and EALING 8th (after being penalized 12 points for playing an ineligible player). In Women’s Division 1 OTTER were PLACED 2ND and WEST LONDON PENGUIN EMPERORS were 6TH;. In Women’s Division 3 OTTER were 5th; and in Division 3 WEST LONDON PENGUIN KINGS were 6th ; and POLYTECHNIC were 2nd . In Championship 1 WEST LONDON PENGUIN were 1st; and POLYTECHNIC were 6th. In Championship 3 OTTER were placed 5th. In Championship 4 EALING were placed 3rd. In Women’s Super 5’s OTTER were placed 2nd; and WEST LONDON PENGUIN EMPERORS were placed 5th. In Women’s Championship 2 OTTER LUTRA were placed 1st; and POLYTECHNIC were placed 5th . In Women’s Championships 3 WEST LONDON PENGUIN KINGS were placed 3rd. WEST LONDON PENGUIN are playing in Div 1; POLYTECHNIC in Div 2; OTTER and EALING are playing in Div 4. OTTER and WEST LONDON PENGUIN EMPERORS are playing in Div1; OTTER LUTRA and POLYTECHNIC are playing in Div 2 (Otter Lutra cannot get promotion whilst OTTER play in Div 1). WEST LONDON PENGUIN KINGS have withdrawn from the BWPL. There are 2 new teams playing in the Women’s Divisions this season; and 5 new teams playing in the Men’s Divisions . Congratulations to newly qualified referees in the County:- Bill Holmes, John Sadler, and Michael Reid (all from Out to Swim). Some other candidates have yet to complete their practicals. There are also 5 candidates who have yet to complete their practicals—all having gained good theory marks. ----------------------------------------------------------------------------------------------------------------------------------------------------------------The Middlesex Water polo Championships continue to be ably administered by Paul Bryan; and we extend our thanks to him for this, again. The Water Polo Committee extend their congratulations to Frankie Snell (West London Penguin) on her Award as the London Region Sports Personality of the Year. Also congratulations go to Trevor Hyde on his Award as the London Region Volunteer of the Year for Officials Development. It has just been announced that Trevor has now been Awarded the ASA National Award for Volunteer of the Year for Officials Development. to organize the sport in this County. Meetings are held 4 times a year. Come on support your sport in the County! !